At the beginning of this year we took a look at some of the free forum software which allows developers to add forums to websites. To balance the equation we thought we might have a look at some of the premium (paid) alternatives that are currently available. Why would someone want to pay for forum software when free alternatives are available? Well, there are a number of reasons, and the first is likely to be security. Premium software is not the same as Open Source (OS) software. OS software can be downloaded free of charge and it's code can be scrutinized by anyone. In fact many OS forum solutions encourage people to revise code to make improvements. While this is a benefit to end users in terms of addons and modules that can perform a range of different functions within a forum, it leaves the software more open to malicious intent. Hackers for instance can explore code and establish vulnerabilities that can be exploited. Generally this is not the case with proprietary software where code is hidden and safeguarded. While security is important, probably the key reason why someone might invest in premium forum software is the level of support you might receive from the developer. With OS software you have the support of a community, but with premium software you generally have the support of a dedicated team that deals with your questions and addresses issues that you cannot manage yourself. Here then, in no particular order, are some of the best premium forums currently on the market. PlushForums bills itself as “simply the best way to build your community”. It is not downloadable software but a hosted service. It’s not been around too long (established 2014) but it offers the significant advantages of being a cloud-based solution. That means no installation hassles. It also offers an integrated blog, meaning there’s no need to integrate with third-party CMS solutions. 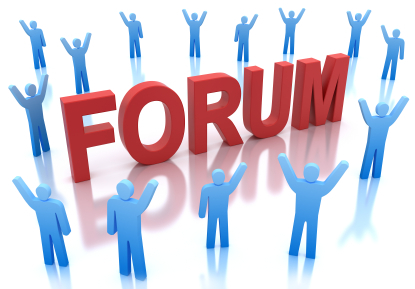 PlushForums offers a range of powerful forum features including real-time discussions, either private or in groups. The responsive design includes a reputation scheme and full search function. To help you make money through your forum the solution offers a PayPal subscription feature. There is though limited integration capability if you want your forum to have the same look and feel as an existing website. 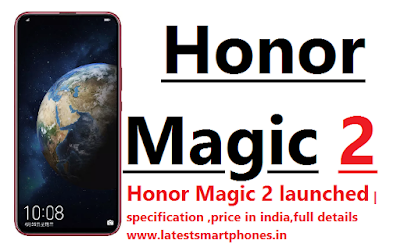 You get 14 days free to try it out and after that it is $49 per month with 15GB of storage. It feels like vBulletin has been around as long as the Internet but in fact it was launched in 2000. An MySQL/PHP-driven solution, responsive vBulletin is a very secure forum with applications and extensions in a suite that include blog, calendar, events, polls, and photo album options. Three different customizable options exist (Publishing Suite, Forum Classic and Mobile Suite) each with a different focus and costs. A cloud-hosted version is available. There really is a dizzying array of features that include usergroup-based permissions, a site builder, Google Analytics support, custom smilies, multiple language support and a robust human verification system. This solution is one of the Internet’s originals, but isn’t especially cheap. vBulletin 5 Connect costs $249.00 while vBulletin 5 Connect + Mobile Suite Bundle costs $399.00. vBulletin Cloud starts at $19.95 per month or $179.95 yearly. IP.Board is another Internet original developed by Invision Power Services, Inc. Another MySQL/PHP-driven solution, it was launched in the early 2000s. It is part of a suite of integrated offerings that include IP.Blog, IP.Gallery, IP.Content (a CMS) and IP.Chat. IP.Board offers all of the features you might expect of a premium quality forum and like others solutions, it takes onboard elements of social media with the ability to share and promote website content. Like vBulletin, IP.Board has underpinned thousands of forums on the Internet. The software provides a “Question and Answer” format that allows users to vote for the best answers to specific questions. Again like vBulletin, it offers website owners a high degree of control. It offers rigorous moderation options which is particularly useful in sensitive environments where the Internet is under scrutiny. It also offers a good level of customization. Self-hosted forum licensing is available for “communities with the technical know-how to self-manage on their own infrastructure” starting at $175, but a cloud-based option is also available with options going up to ‘GOLD’ at $59.99 per month (paid annually) with 200GB of bandwidth available and free phone, ticket and forum support. XenForo is a premium PHP-driven forum software solution that allows users to add forums to websites. It has a quality background – the solution was created by a developer that had previously been employed by vBulletin. Alongside a solid range of forum features that you would expect to see on a quality solution, its strength lies in a range of inbuilt SEO options that enable content to be picked up by search engines like Google. XenForo offers a range of modules that can adapt the functionality of a forum site, and as with other solutions, it gives a nod to social media with features that include “social engagement” tracking. It is not especially cheap though. A standard XenForo license costs $140 for a year of support. If you want to remove the XenForo branding that will cost an additional $250 and there is an installation services for $50. WoltLab Burning Board first came onto the scene in 2001, so it has been around a while. One of the “enterprise-grade” WoltLab Suite apps, the awarded-winning solution is another powerful forum option. Yet another MySQL/PHP-driven solution, it is billed as providing an “unparalleled experience for users and administrators alike”. It is underpinned by WoltLab Suite Core, which is a cost-free CMS. Burning Board is added to Suite Core at a cost of $89.99. Support for the forum is offered at $149.99 per year, while removing branding costs an additional $249.99. An installation service is available for $99.99. Discourse gives you everything you need to create a forum website. By the look of the software’s website, it was developed with teams in mind, but it is still great for other purposes. Discourse offers a conversations-based format with dynamic notifications that always keep you informed when someone has responded to one of your posts. It features a “simple, flat forum” design with replies moving in a line down each page. Other features include Ajax search results and the ability to sign up using Google, Yahoo, Twitter and GitHub IDs. As with other solutions, Discourse has a social media feel about it with profile formats similar to those offered by Facebook. Discourse offers a range of options but each includes a $99 installation fee. This is though a hosted solution and you can utilize managed hosting at $100 a month for ‘Standard’ and $200 a month for ‘Business’ options offering 100,000 monthly page views and 10GB storage, and 500,000 monthly page views and 50GB storage respectively. An ‘Enterprise’ option is available on a consultation basis. Latest SmartPhones. Powered by Blogger.